Make sure children eat nutritious, low-fat meals high in iron and calcium, such as spinach and dairy products. Children with good diets absorb less lead. In addition to day-to-day cleaning and good nutrition, you can temporarily reduce lead hazards by taking actions such as repairing damaged and painted surfaces, and by planting grass to cover soil with high lead levels. These actions, called “interim controls,” are not permanent solutions and will need ongoing attention. 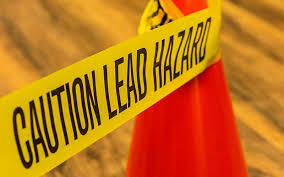 To permanently remove lead hazards, you must hire a certified lead-abatement contractor. Abatement (or permanent hazard elimination) methods include removing, sealing or enclosing lead-based paint with special materials. Just painting over the hazard with regular paint is not enough. Always hire a person with special training for correcting lead problems; someone who knows how to do this work safely and has the proper equipment to clean up thoroughly. Certified contractors will employ qualified workers and follow strict safety rules set by their state or the federal government. To be safe, hire an InterNACHI inspector trained in lead detection for your next inspection.